Hobo Mama Reviews: FREE Tiny Prints Halloween card — I made mine! FREE Tiny Prints Halloween card — I made mine! 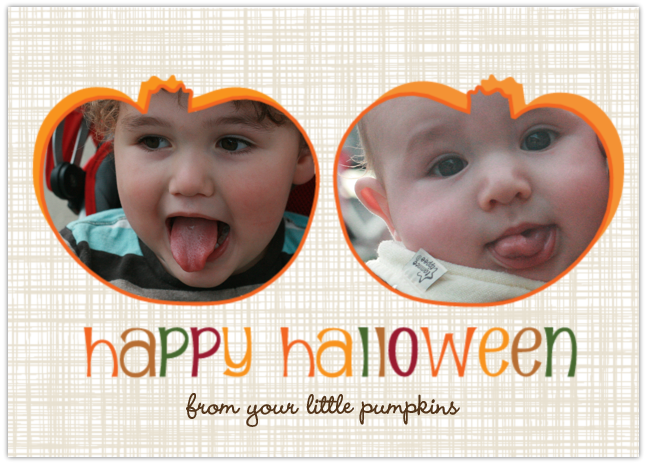 Remember how I just told you about the FREE Halloween card at Tiny Prints today? And you know I couldn't get just the ONE free card — I had to get another so both grandmas would get a lovely surprise. Ohhh, Tiny Prints … you rogue. Get your own free cuteness by TONIGHT at Tiny Print's Facebook page.